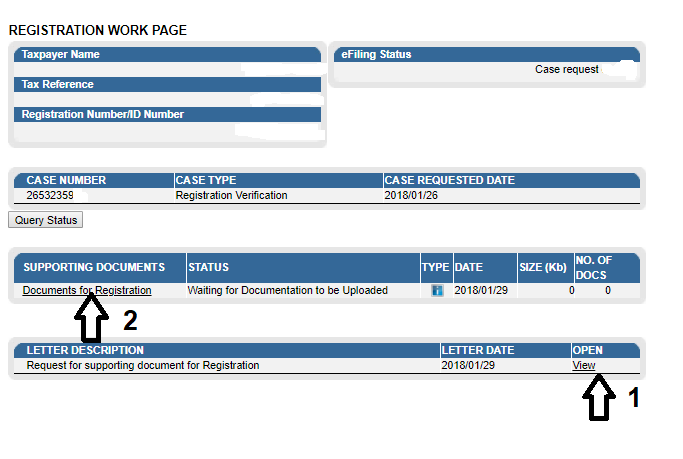 5.1 On the “Registration work page” you can click on “View” (arrow 1) to see what SARS wants you to send them. They usually request a certified copy of your ID, three months bank statement that’s stamped by the bank and a utility bill to prove your address. 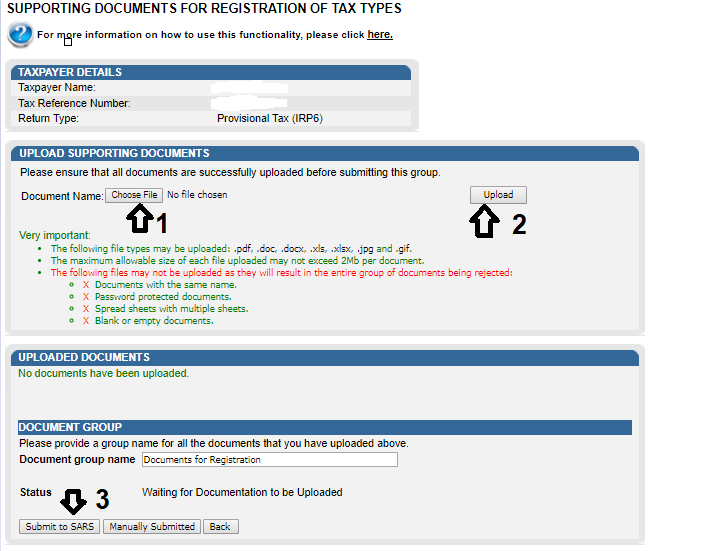 5.2 To upload the documents, you need to click on “Documents for registration” you will be sent to a page where SARS will allow you to either upload the documents or inform eFiling that you dropped the documents at SARS in person. 6.2 After this, click on “Upload” this will attach the documents under the “Uploaded documents” section.